Two Verizon handsets have received their July Android security updates. We are referring to the LG V30 and the Motorola Moto Z2 Force. First, Big Red wants you to do a couple of things before you actually start the process of downloading and installing the update. Make sure that you are connected to a Wi-Fi network or a strong Verizon signal. In addition, make sure to fully charge the battery on your phone before you begin. 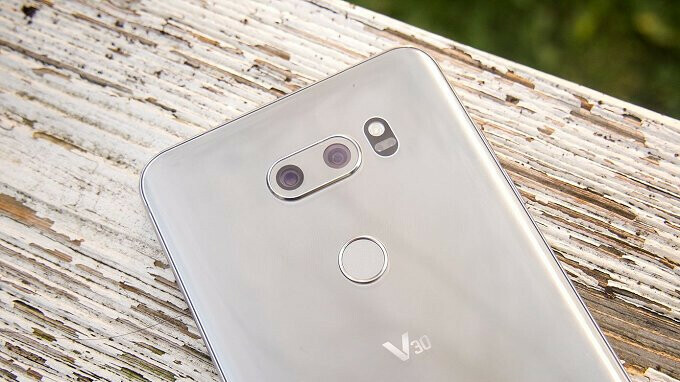 The update for the LG V30 is software version VS99620e, and it contains the July 1st, 2018 Android security update. The update for the Moto Z2 Force is NDSS26.118-23-19-6, and it also includes the July 1st, 2018 Android security update. We understand that a security update is boring, and that there are no new exciting features or capabilities added to your phone. But once you do install the update on your LG V30 or Moto Z2 Force, you will be able to sleep better knowing that your phone has the latest security patch defending it from unseen evil. Since these updates are being sent out OTA, they could arrive at anytime, so keep your eyes peeled for the notification that tells you that your phone has received a software update.